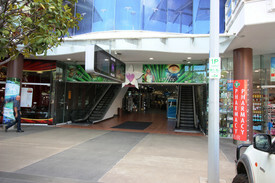 Offering for lease some of the best quality office accommodation in Cairns. Cairns Corporate Tower is strategically positioned close to the local Courts, Australia Post, retail and general business community. The well known building is immaculately presented with its attractive, large entry foyer that provides access to the 15 levels via four high speed elevators. Both under cover and open bay car parking is offered. Still regarded as the premium office address in Cairns, the building naturally provides all modern services and houses some of the prominent corporate names in Cairns and Queensland. Each floor has ducted air conditioning, modern male / female toilets and kitchenettes, security access, good natural night and stunning views of the Pacific Ocean, Trinity Inlet and surrounding mountain ranges. Most tenancies have undergone extensive refurbishment. The building owners are offering up attractive leasing packages for these remaining vacancies in Corporate Tower. 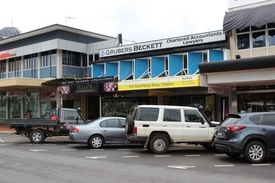 Contact: Agent Scott Green - Ray White Commercial Cairns for more information.